With the Creators Update looming, Microsoft is slipping some small conveniences into this late build, though you can't quite use them yet. Windows 10 has an answer for anyone who'd love to mess with your PC when you leave for lunch. The latest Insider Build 15031 includes a new “Dynamic Lock” feature that secures your machine when you’re not around. Another handy new feature is Compact Overlay for launching standalone video windows. Neither is fully operational yet, but it gives us a peek into some of the finer points to expect as Windows 10 moves toward the Creators Update. Dynamic Lock is a simple, yet powerful (and optional) feature for locking down your PC. If you’ve paired a Bluetooth phone, Windows will periodically check to see if it’s still in range. The idea is if the phone is in your pocket, you’re still at your desk—and the PC can remain on. 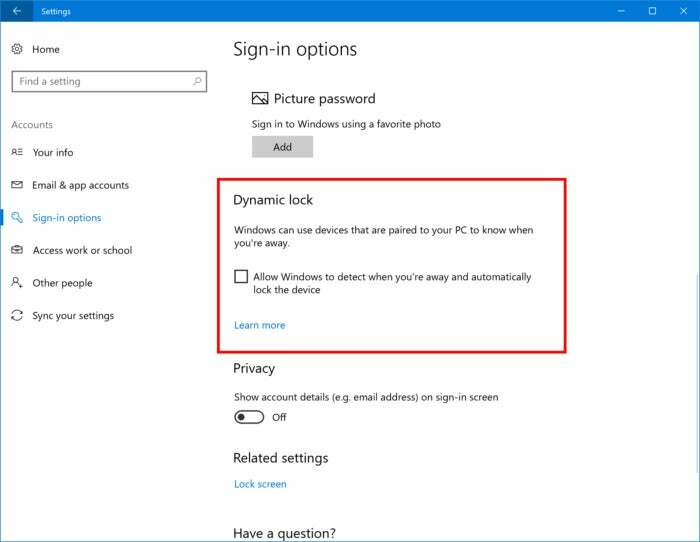 Once you’ve left the area, however, Dynamic Lock will determine that your phone is no longer in range, and lock your PC after 30 seconds. Dynamic Lock will automatically lock your PC if your phone (and you, presumably) walk away. Unfortunately—and more than a bit ironically—a bug in the build prevents you from pairing your Bluetooth phone if you visit Settings > Devices, as the Settings app will crash. Trying to connect via Quick Actions from the Action Center also won’t work, so you’re probably better off just waiting for an upcoming build to try this out. 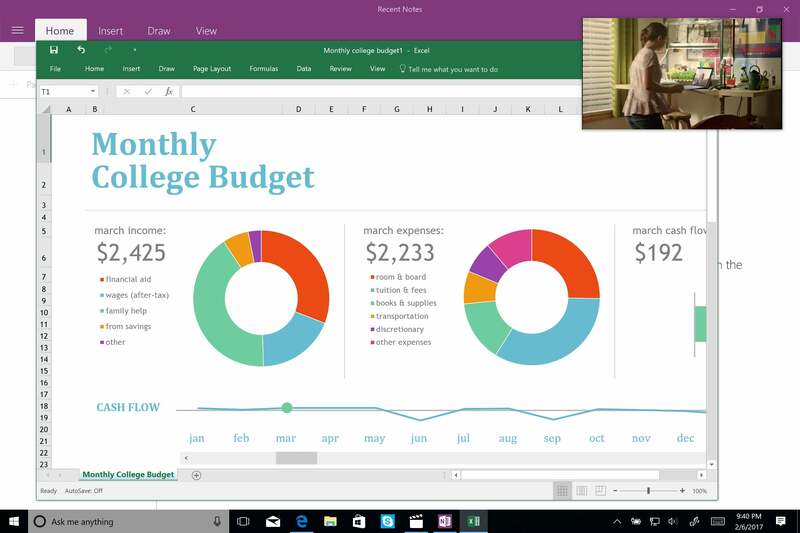 The new Compact Overlay feature strips out video into a compact window that floats above the others. Simply put, Compact Overlay will slim down an app’s video window into a small, “bezel-less” window that will remain on top of all the others. It sounds like an easy way to keep tabs on a March Madness game or the Premier League while you “work” within other windows. Microsoft said in a blog post that Compact Overlay will be applied to the Movies & TV app as well as Skype Preview in the future, though it’s not here yet. Windows 10’s new “Share” icon. The remainder of the update includes a new Windows “share” icon as well as a massive addition of 52 new games to the Windows Game Bar, including Elite: Dangerous, Dishonored 2, Fallout: New Vegas, and Grand Theft Auto V.
Beware, however, as some of the same bugs that plagued earlier builds remain. It might appear the download bar gets stuck on “Initializing...” when trying to update to the new build, and the Spectrum.exe bar that can cause your PC to lose audio remains in some configurations. Why you should care: Microsoft's focus is understandably moving to bug bashing, in the short time left before Windows 10 Creators Update is expected to launch. Smaller builds like these, however, show how the company is still smoothing out the Windows 10 experience where it can.